I have never come across much information on pruning casuarinas. 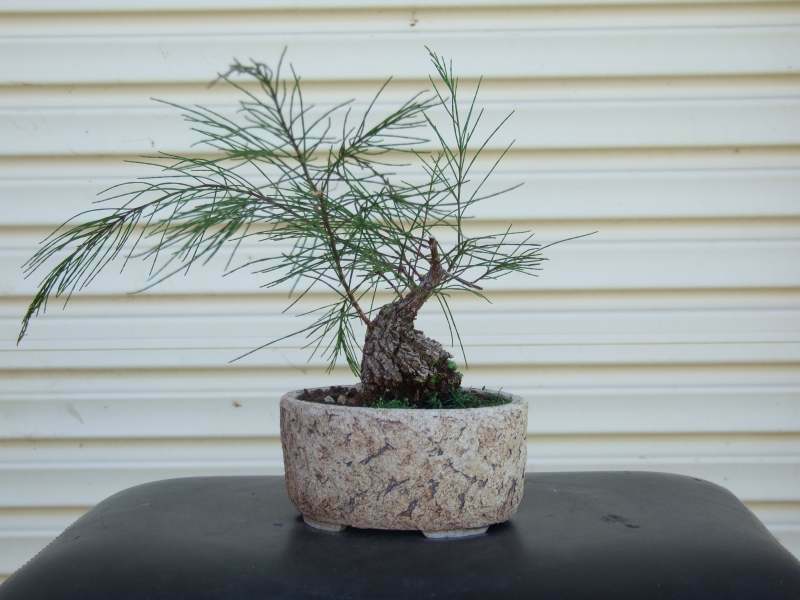 There is some info on the collecting root work and maybe styling but Even Robert Stevens article in Bonsai focus and his books has nothing more in depth than grab some needles/branches and pull. I have been wondering when is the best time to do this. Should all the tree be done at once. How many nodes are best left and what have people experienced with them. Here are two of mine for reference. It received an all over prune in spring at the time of re potting. I kept a close look for new buds emerging. They didn't but I finally realised the needles where much longer than when I re potted it I have been tipping the growth haphazardly since then and have found some back budding but can't say I am any wiser. I would not be keen to tip prune this one at the moment as I think I need to encourage more root growth. When I let the tree grow out for a bit I am tempted to just get in their with a pair of scissors as I found once the needles mature/harden I cause some damage buy pulling them. This has had one prune when re potted and it back budded fairly well. No it back budded well I can see the start of all the branches I need so I can't ask for any better. Re potted and pruned in spring then left alone to recover. I would consider an aimed prune of this tree now? 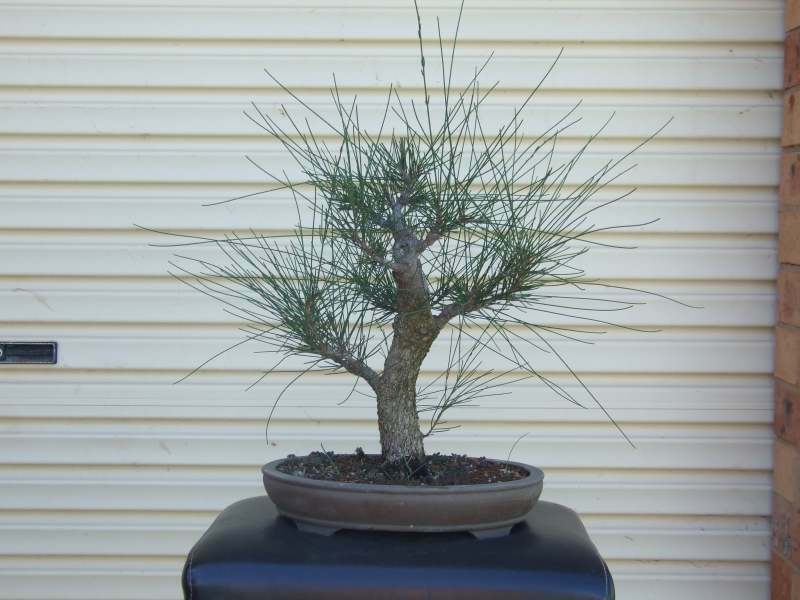 Does anyone have any experience to share in regard to pruning casuarina? the best time in our climate for the tree to recover faster is during the beginning of the rainy season. this is the season where i double the feeding volume on my casuarina. With regards to my PM to you. I think the best time for you to prune is right after winter...or where your trees can recover faster. I prune my casuarinas 2 times a year, sometimes 3. and that depends on the health of the particular branch. It is a little ripper hey. Picked it up for a song from bonsai nursery as starter stock. Not sure if any special technique was used to get the taper in the base or just normal for the species and good care? The plan is like a shohin pine. Maybe even a showy lime green pot. thanks a million for that link, in the posts on Ausbonsai, one of the posters solved the big question we have on our side. How come the equisetifolia gives so much trouble and the mature trees die after so many years. Many of the trees grown on the old Texaco compounds [ the oil refinery areas ] planted in the 50's have died or look really sad / bad. Will stop wasting time trying to grow the locally available trees. Thanks. I would have spent so much time working on those trees.